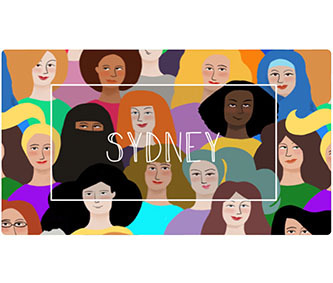 In the lead-up to the Vivid Sydney Product Management Conference in Sydney, we interviewed one of the speakers Jane Huxley, an elite Product Management professional who has held coveted product leadership roles at Microsoft, Vodafone and Fairfax Media, prior to her current role as the Managing Director of Pandora Australia and New Zealand. How did you start your illustrious career in Product Management? I started working at Microsoft in 1999 in the technical side of the business, then moved on to manage Microsoft Office and Windows products. Microsoft was a really great place to learn and build my career as I had access to so many resources and opportunities to be promoted within the Product team marketing and managing the lifecycle of the suite of Microsoft Office software, eventually becoming the Director of the Consumer Product Portfolio. What Product Management trends have you seen since managing Microsoft products? At the time when I was managing Microsoft products, we competed purely on the strength of the products. There has since been a wave in Product Management trends where other factors such as price and availability were the key differentiators, which is pretty normal in a financially constrained environment like the GFC was. Now, we have gone full circle where successful Product Management is based on product functionality and releases. A pure Product Marketing skills-set was critical back then, and is just as essential to drive successful products now. Why do you think there has been a recent revival in the focus on Product Management? 1. The increase of digital platforms and Software as a Service Products – providing more choice and better information to consumers. 2. ASX 200 companies understanding the role of Product Marketing and that it is a critical function to attracting new customers, and creating incremental value for the existing ones. 3. Digital Penetration – Companies are using digital platforms to build awareness of their products, giving consumers the research capability to make choices about the product itself, not just purely price. 1. You are never going to be 100% right with your assumptions about the market at Product Launch time. You are better off getting to 80%, then watch how the market responds and course correct thereafter. 2. You need to be able to carefully balance consumer needs versus corporate requirements. It’s a balancing act to manage both customer satisfaction levels as well as doing the right thing, financially, for the business. 3. Product Marketers need to be financially astute to convince their organisations to follow their recommendations and decisions, essentially to speak the same language as the executive management team and board to help them unlock value. Can you share an example of where financial data helped you in your role as Product Manager? When I was the CEO of Digital at Fairfax Media, the autoplay feature for online video on our websites were the most hotly debated addition to the product. At a time when display inventory was taking a dive, and the online video revenue earning potential was high, we needed to balance whether the introduction of the feature would be annoying for our readers. In the end we decided to switch on this feature. We monitored consumer and agency behaviour and monetisation trends for 6 months after the launch. The result of going ahead was that Fairfax Media could fund more journalists to create more news. It’s not necessarily about whether this was the right decision or not (it was certainly emotive for a lot of readers) but the outcomes over time. What advice do you have for Product Managers? When Product Managers make decisions about their products, they need to watch the numbers and live by their decisions based on the data. Being data driven and understanding numeracy in Product Management is core to the job, alongside of pricing and promotion. Use that data to constantly course correct. Keeping everything as simple as possible, for ease of use for your customers. Pandora has a simple interface so on a daily basis our team have constant debates about how to surface new content or features whilst maintaining the cleanest look possible. So when making Product Management decisions and winning executives over, it’s critical to understand all the numbers around your product – cost, revenue streams and ROI calculations. You have to be able to express it in a business case from a financial perspective. Financial data is the only language that is spoken by senior executives. You need to be fluent in this language. Product Management is the foundation of a solid career and the exposure to consumer insights can provide the grounding for professionals to leap into marketing and sales. In the past, having a sales experience propelled people into GM, MD & CEO roles but when I coach people these days, I tell them it’s no longer just sales that will earn you a corner seat. You need to have experience in Product. We are seeing more Chief Marketing Officers becoming CEOs in the UK, USA and increasingly in Australia as well. Data and insights are becoming the new currency in driving the bottom line. Younger product managers need to realise where their Product Management skills set can take them. It gives them a choice going forward. As a discipline, how do we overcome this issue of limited promotion of Product Managers into Executive team positions and into the C-Suite? From the bottom up, Product Managers need to talk the language of the business. To be heard, they need to bring their story back to the numbers. We need strong skills about how to speak to the “gap” in businesses. I always tell a story along the lines of …”Here is we are today….Here is where we need to be….These are the three steps to getting us to that point and finally here is how we are going to measure (course correct) and report back”. Telling the story always helps. From the top down, leaders need to understand the value of Product Marketing as being the discipline of understanding consumers. Don’t lump Product Marketing in with Marketing – it is a discipline that sits alongside of consumer, trade and public relations disciplines. They are not to be confused, each requires a different skill set. What is the key to change in the Product Management profession? 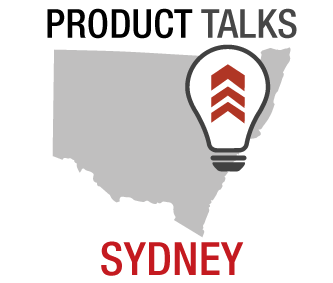 Over the years, Brainmates has contributed to the change in the Product Management profession through its client projects including my time at Fairfax Media, by giving Product Managers the framework and discipline. 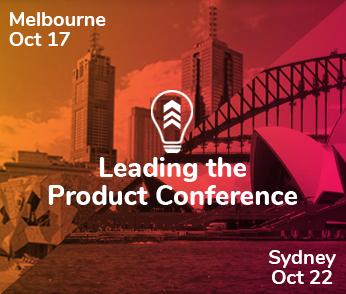 Product Management events that Brainmates organise host help build awareness about the discipline and process, such as the upcoming Vivid Sydney Mini Product Management conference that I’m proud to be part of. Demonstrative results will come for organisations that follow a prescriptive approach to the market. Organisations need to understand the relationship between product and consumers. They need to watch as many consumers to integrate products in the market & what the role of product marketing is. They need to understand the adjacency of product and project management. On an individual level, Product Management is fun. It is the hub function inside the company. It’s the hub to finance, engineering, sales and importantly the doorway to the customer. From a career perspective it also gives people the opportunity to move into one of the outer spokes. We should all get more excited about that.